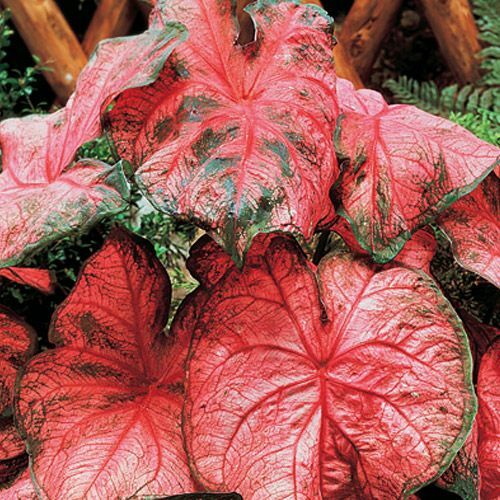 Our Rosy Leaf Caladium features heart-shaped, rosy pink leaves with deep rose veins and contrasting green edging. It's a short and compact grower compared to many other Caladiums, making it an excellent choice for borders and containers. 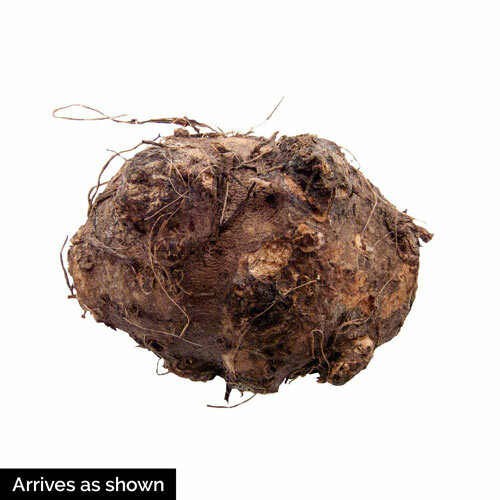 May be grown indoors as a fancy houseplant as well! Foliage TypePink and white large peltate heart-shaped leaves with colorful membranes. Additional InformationCaladiums are tender and need to be moved indoors for the winter months, or moved to an unheated garage until spring. Planting InstructionsPlant 2" deep (bud tips up) and 10" apart. Water well after planting. Place in warm, filtered light away from direct sun light, which will scorch the leaves.